Sparkle is always in style. 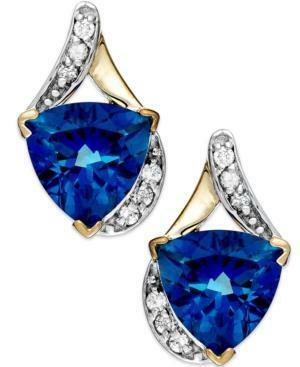 These brilliant drop earrings boast trillion-cut blue topaz (4 ct. t.w.) accented by full-cut diamonds (1/8 ct. t.w.). Crafted in 14k gold. Approximate drop: 5/8 inch.